Publix is running another Buy Theirs Get Ours FREE promotion! This will start 5/29 or 5/30 depending on your store’s ad schedule. For all the deals running at Publix this week check out the Publix Weekly Ad 5/29 or 5/30 post! There’s a limit of (1) for each item per a transaction. 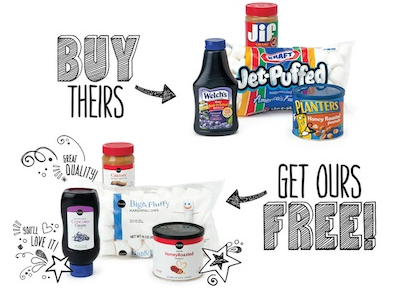 Publix offers up their products for free with confidence that you will prefer the store brand in the future. So compare and let me know which which products win!